Cintas Corporation helps more than one million businesses of all types and sizes get ready™ to open their doors with confidence every day by providing a wide range of products and services that enhance our customers’ image and help keep their facilities and employees clean, safe and looking their best. 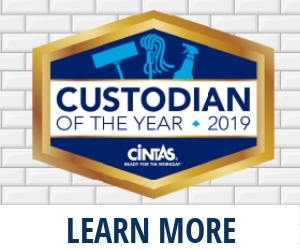 With products and services including uniforms, mats, mops, restroom supplies, first aid and safety products, fire extinguishers and testing, and training and compliance courses, Cintas helps customers get Ready for the Workday®. Sustainability is enthusiastically embraced at Cintas, with company-wide green efforts that have positively improved the way we do business. Every decision we make takes into account the current and future environmental impact on our employee-partners, customers and communities. At Cintas, we know that having a strong supplier network plays a direct role in our business performance and global competitiveness. And we have a long history of relying on the services of a broad range of both domestic and international suppliers — owning, operating or doing business with contractors in hundreds of cases overseas, and manufacturing production in five continents in more than 30 countries. Cintas employee-partners are passionate about providing Deeper Knowhow, Caring ServiceTM — and we’re widely recognized for being positive, respectful, motivated, and caring. These characteristics are an important piece of our history and culture, and they’re at the heart of everything we do. Our quest for continuous improvement includes our steadfast dedication to safety, with many industry leaders looking to us as an expert in this arena. All Cintas facilities uphold internationally recognized safety standards, and they’re expected to adhere to them every day. How do I place an order with Cintas? To order direct purchase uniforms, please call 1-800-707-9120. To set up all other Cintas services, please call 1-800-795-7368 or visit www.cintas.com/uscommunities. How do I get started with Cintas? Please visit www.cintas.com/uscommunities or call 1-800-795-7368 to have a local Cintas representative reach out to you. Yes. This contract has been competitively bid by a government agency. Through the Joint Powers Authority or an inter-local agreement, local governments can "piggy-back" this competitively bid contract. This satisfies the competitive bid requirements in most states. If my agency already has an account with Cintas, do I need to set-up a new account? No. Contact the Cintas National Service team at omniapartners@cintas.com or 800-795-7368 to have this contract linked to your existing account. What products does this contract with Cintas entail? 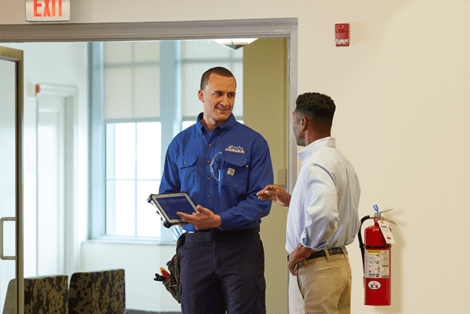 Help keep your employees, contractors and workplace READY™ with a variety of products and services that meet your needs. 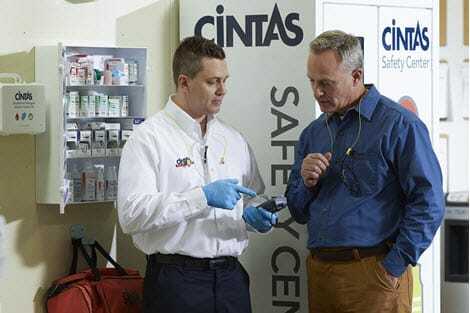 Cintas is your single source provider for all of your first aid, safety, training, AED, eye wash and employee hydration needs. Quality first aid products van-delivered by First Aid and CPR certified representatives. Cintas offers head-to-toe personal protective equipment to help you keep your business compliant and your employees safe, saving you time and reducing costs. Prepare for the unexpected with Cintas’ emergency programs and family of ReviveR® View AEDs. We offer a variety of compliance training solutions to match whatever your training needs may be. Cintas isn’t just any fire protection provider. We’re a provider set apart by our cutting-edge technology, detailed processes, and trained technicians. 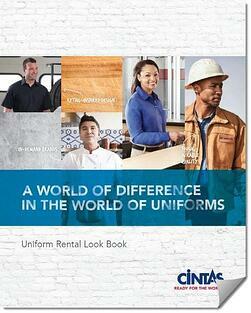 Thousands of companies across North America trust their business to the power of the Cintas uniform. Whether you have a handful of employees or hundreds, you will enjoy the positive impact that uniforms make on both customers and staff. 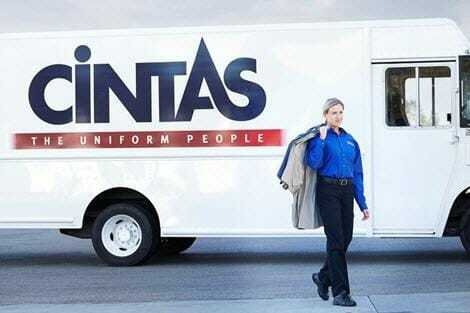 With a Cintas full-service uniform rental program, there is no laundry to do, no uniforms to buy, and no repairs or maintenance to waste your time and money — and that means no worries! Only Cintas can deliver Carhartt workwear in an easy and affordable rental program. Cintas FRC products are more durable, more comfortable, and lighter than any other. Cintas is proud to partner with Chef Works to deliver a dependable, affordable, first-of-its-kind rental program. Cintas provides workwear and uniforms designed especially to fit women comfortably. 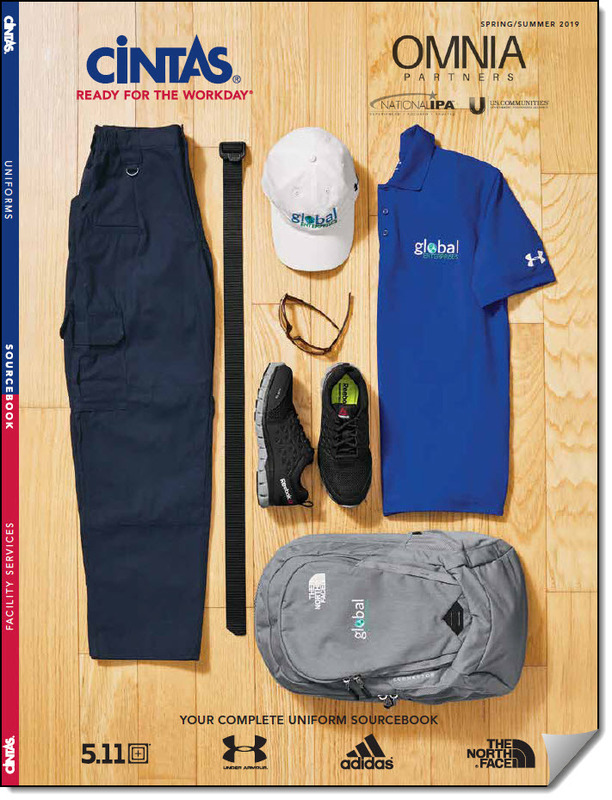 Cintas Uniform Purchase allows you to customize your look, head-to-toe, with brand name apparel such as Carhartt, Under Armour, The North Face, 5.11, and more. You have access to endless uniform possibilities for all areas of your business; from Automotive, Transportation, Food Service, Office Staff and more. Through Cintas Uniform Purchase you can customize your look head-to-toe! Customization - We can set up your unique company logo to allow you to show off your brand with direct embroidery, emblems, or custom silkscreening. We also offer customized reflective striping options. Brand Name Apparel - Give your employees the uniforms they want to wear with brand name apparel you know such as: Carhartt, Under Armour, The North Face, 5.11, Dickies, Chef Works, Nike, Adidas, Timberland, Reebok, and many more! Safety Footwear - Choose from a product mix that includes safety footwear that meets ASTM 2413-17 standards. Ask to learn more about how Cintas can accommodate your employee allotment programs. Promotional Products - Cintas offers a wide range of promotional products and executive gift options such as backpacks, duffels, coolers and more, these are great options for employee incentives or rewards. Promotional products can boost employee morale and loyalty across your organization. 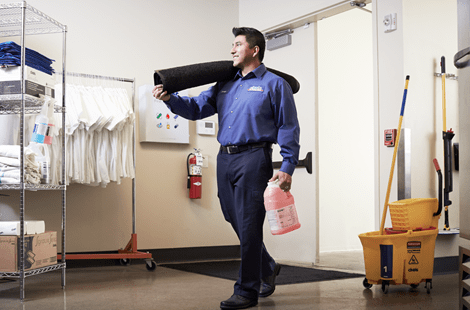 Facility Products - Cintas is your one stop shop for facility products with onsite inventory assistance of products such as: Can Liners, Disposable Gloves, and Break Room items. Direct access to a live Customer Care Team dedicated to supporting our customer's needs from order placing to product recommendations to streamline your day. To speak with our Customer Care Team, call 800.707.9120. Facility Services offers a variety of solutions to help your facility looking it's best from top to bottom. 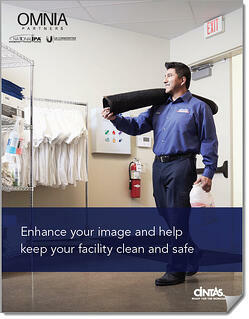 Keep your facility clean and reduce maintenance costs with Cintas' full line of mats! Cintas is dedicated to providing services designed to make sure your facility is appropriately stocked with a variety of essential restroom supplies. Save time and money with the Signet® Cleaning Chemical Service. Find out how! Revive your floors to their original beauty with our tile & carpet cleaning service. Deep cleaning with heat, pressure, and extraction removes more dry particulate soil than any other method. Hear from the lead public agency, Prince William County Public Schools and Cintas on this new contract and solutions.